August | 2014 | Who Says Healthy Food Ain't Fun!! Who does not swear by the wonderful effects of a well-rested peaceful sleep! And if you want to “knock off those pounds”, then you need to “knock out” at the right time REGULARLY too. We all know that diet and exercise help us to reach the weight targets we set for ourselves. We get so engrossed in these 2 components that we end up over doing both and often compromise on a good night’s sleep. Insufficient sleep promotes hunger and appetite, which can cause excessive food intake resulting in weight gain. When people don’t get enough sleep they have increased levels of a hunger hormone called ghrelin and also decreased levels of the satiety or feeling of fullness hormone called leptin, which could lead to overeating and thus weight gain. Also people who exercise well and do not catch up on adequate sleep; the lack of sleep hinders muscle recovery post exercise. The whole concept of “Exercise” is that you recover from the damage caused while working out. And if there is no recovery then fat burning stops. We only end up injuring ourselves – don’t you feel dead or broken when you over exercise? Not only this but this could lead to hormonal imbalances, digestive issues and massive mood swings. Keep a check on how much you sleep as compared to how well you sleep, because even you though you may sleep for 8 hours, but if the quality of your sleep is poor it still has the same effect as inadequate sleep. As the evening works its way towards bed time, start lowering the overall light level in your home. Your body can’t tell the difference between “bright light” and “daylight” for purposes of regulating your sleep. A darkened room tells your body that sleep time is near, and it will start producing the hormones that aid in falling asleep and staying asleep. Tune out distractions – switch off the TV, the phone, the ipad, the laptop at least a while before sleeping. Have a warm shower or if not possible then at least soak your feet in warm water – and just RELAX. When it’s finally time to hit the sack, keep the room as dark as possible. Exposure to light during the time you’re supposed to be sleeping can disrupt your body’s internal clock. It’s one of the primary clues to the body that it’s either sleep time, or waking time. Every time I think I need to write my blog – I realize there are so many topics I could write on, so many myths I could dispel, yet somewhere I realized I was missing a point – something a lot more deeper – something I really needed to write about and did not know what that was. At the same I have been really engrossed, enchanted and mesmerized with Steve Jobs’ biography by Walter Isaacson, and I totally agree with Steve’s love for Simplicity. No wonder it is said that Common sense is the least common thing! Why can we not be simple with our food and food choices? Why go to extremes – why completely eliminate certain foods, why only eat certain foods? Now let us talk basic. Scientifically thinking – what is the purpose of eating? Why do we eat food? For growth and repair – Food provides the materials needed to build, repair and maintain body tissues. Proteins, fats and minerals are the best nutrients for growth. Growing bodies need extra amounts of these nutrients. Every person whether growing or not, is going through a continual repair process of replacing injured or dead cells. It is food that supplies the nutrients necessary for this process. For regulation – Food supplies the substances that help regulate the body’s processes. Water, vitamins and minerals help regulate breathing, the nervous system, digestion, blood circulation and the elimination of waste products from the body. They help keep all the systems in the body working properly. For protection – Vitamins, minerals and protein keep the body’s tissues and organs healthy. Healthy organs are less likely to be attacked by disease. This is what science has to say! But is this why we eat food or is this how we decide what we will eat for lunch or dinner? Though some of us do include certain things in our diets that are aimed at health, yet 80% of our food choices are emotional. Very often after eating amazing food we say – ‘what a soul-satisfying meal?’ or ‘dil khush ho gaya’. So doesn’t this imply that our foods not only nourish our body but our soul too! Great food can have an uplifting impact on our mood and vice versa. How about we get simple with food? Can we eat not to just stuff ourselves but to nourish our soul? Enjoying our now, reveling in the beauty of the world and the simple pleasures of existence are equally important to our survival as food is. Gratitude and a sense of abundance, no matter how little we may seem to have, makes us happy, content and fulfilled. Perhaps all these may even help the body metabolize our food better. Being skinny or size 0 can never guarantee enlightenment, happiness, or inner peace – it is instead a choice we make. 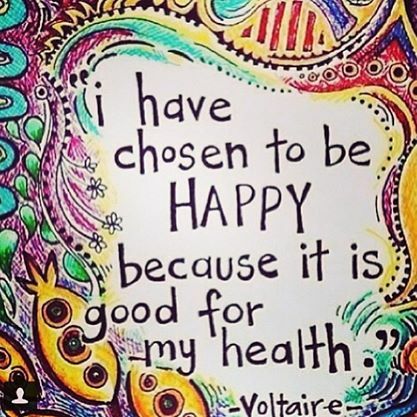 In every moment can choose to be happy NOW, love and accept our body the way it is TODAY.